The Reflex V Sight uses a four reticle set: Dot, Bullseye, Cross, and Starburst. It utilizes unlimited eye relief for flexible mounting and scalable brightness settings for reticle effectiveness. The 24mm x 34mm objective lens is 1x magnification. It uses a classic and tested design with a wedge-shaped hood for the main body components and features allen key adjustable reticles for ease of zeroing. 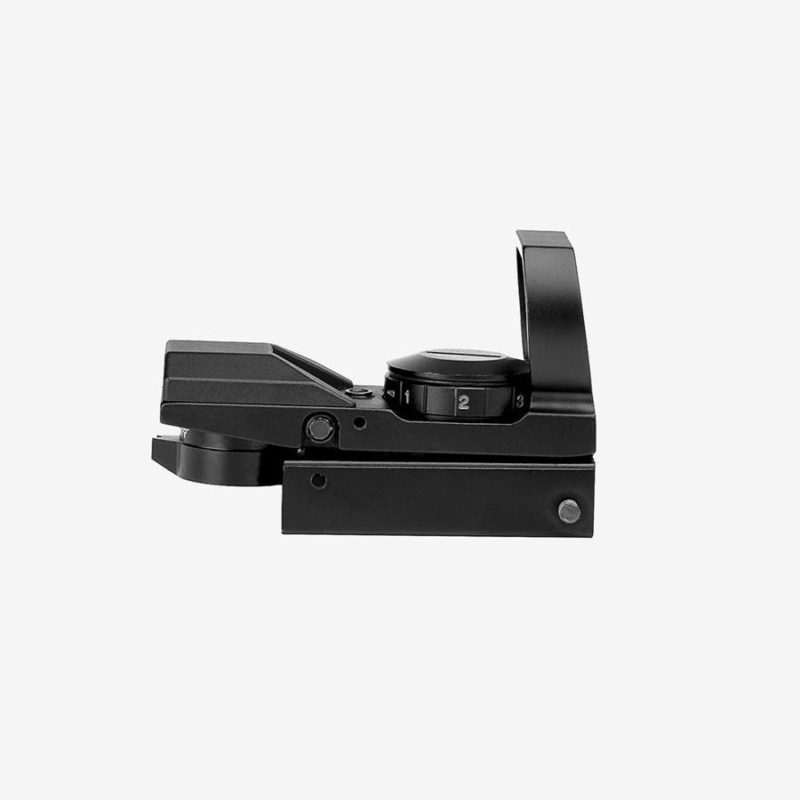 The optic frame is rounded to minimize snagging and features a robust rheostat knob for quick brightness and color adjustments. I have not tried this reflex sight yet, but looks well built. I like it so far. Will give update after I sight it in, will update rating at that time. Easy to mount on AR 15.